The title of this post is heavily influenced by the amount of Frozen YouTube videos I've been watching while hanging out with my niece Claire these days. But it also refers to my first OMG YUM cupcake in a long time (about a year to be exact). I'm on my annual summer trip to Chicago to spend time with the fam and I was hoping for some milder weather up here but no such luck. It's balls hot out here too. Sestra Melissa (Orphan Black, anyone? 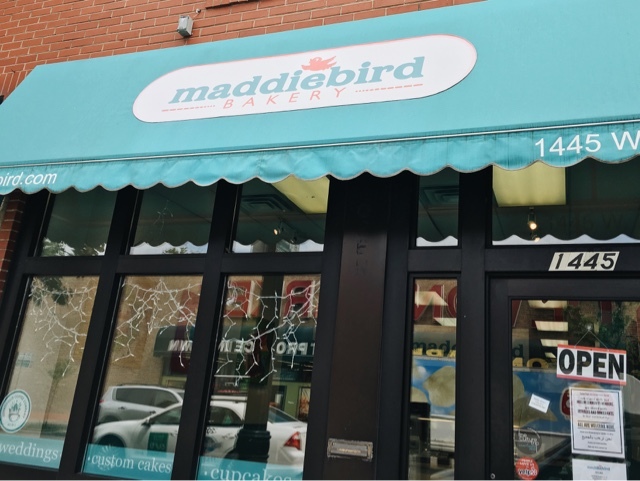 ), Claire Bear and I took an afternoon jaunt to a much raved about cupcake bakery, Maddiebird Bakery in the Edgewater neighborhood. I found it surprising that the cupcake flavors were pretty traditional: chocolate, vanilla, red velvet and the "unusual" flavors were salted caramel, s'mores and lemon. Melissa thought it was pretty impressive that they wouldn't stray from ubiquitous flavors thinking that they were confident in the quality of their cupcakes. We opted for a carrot cupcake as well as a salted caramel. Each large cupcake is $3.50. 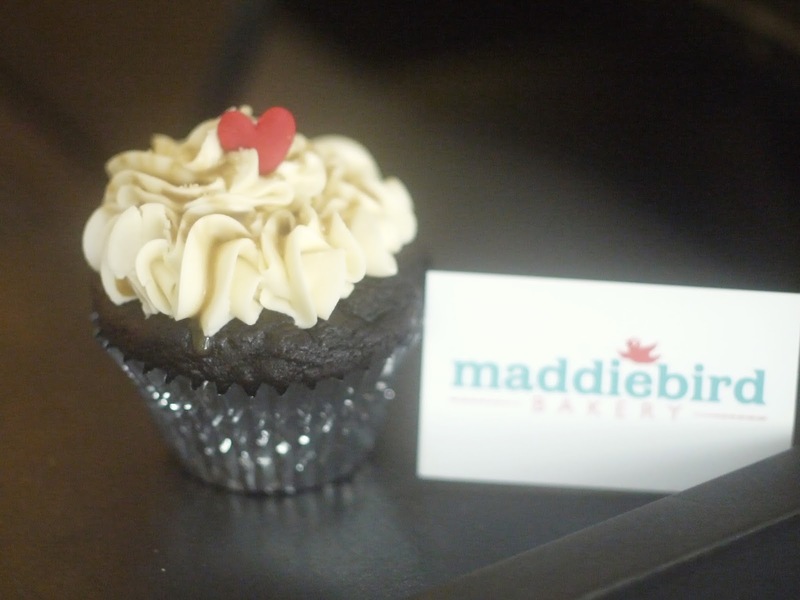 Both cupcakes were so deliciously wonderful! Their texture was super moist but not gummy. Each cupcake had an excellent balance of flavor and they weren't too sweet. These far surpassed the cupcakes I ate in NYC last month that were from top cupcake bakeries. 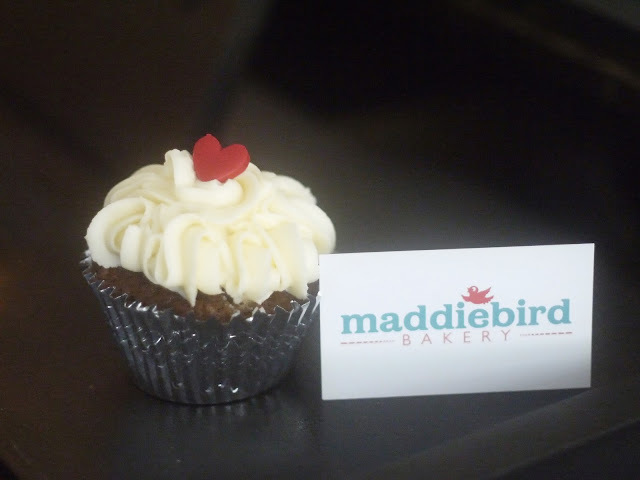 Bravo, Maddiebird! 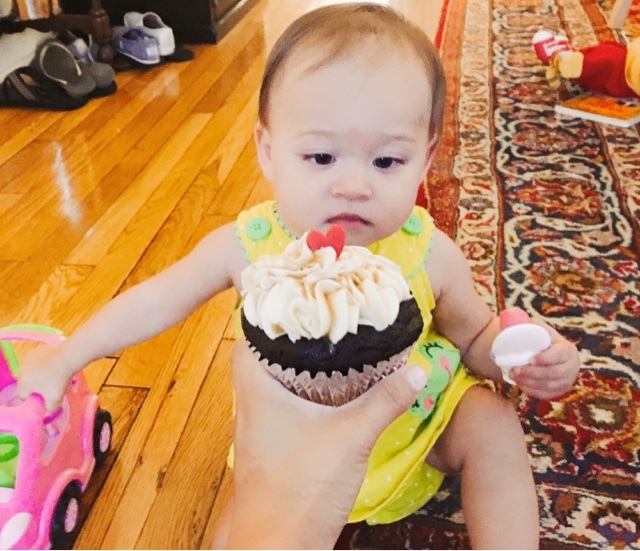 And Claire, well she seemed a little confused by her first cupcake.